The Bug Boys: Top Gear! So I haven't been feeling very good lately and have spent some time surfing you tube. I have been told by quite a few people how good top gear is but I have never really watched it. I finally checked it out and it has had me in tears for the last few days. Here are some of my favorite clips from it. Check them out and you'll see what I mean. Hopefully this weekend I have enough motivation to get out in the garage. I need to pull the engine out of my white bug and get it ready for it's annual trip to St. George in March. I want to fix some oil leaks that have developed and re-torque the heads on it. I also need to look at my snow blower. Dixie let me know it's not running very good. Check back to see if I get any of that done or if I just waste my time surfing you tube! Hi, I've just bumbled across your blog today. I was looking for pictures of super beetles and found your blog. If it ok I want to add your blog to my blog list, and wondered if you might want to do the same with my blog? It's veedubclassics.blogspot.com I write about the work I'm doing on my bug. 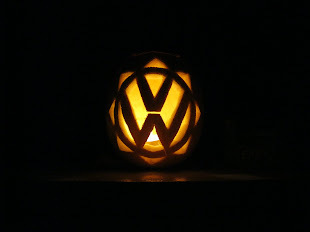 I like trying to connect vw blogs together, I'm always finding more and more. And also from your license plate I notice you live in Utah. I live in provo, don't know where you are at but if your in the south provo or Orem area you may have seen two of my bugs, a red and white one, and a green one with a p on it. Anyway cool to see another Utah vw blogger. Good luck, I'll keep checking out your blog. Consider your blog added. Good luck on your mission. It will be life changing. I am in SLC and usually only make it down to provo for the wasatch classic. See you on the roads hopefully.